Different than last-click revenue, incremental revenue represents listings that would not have been purchased without the influence of a specific partner or campaign. 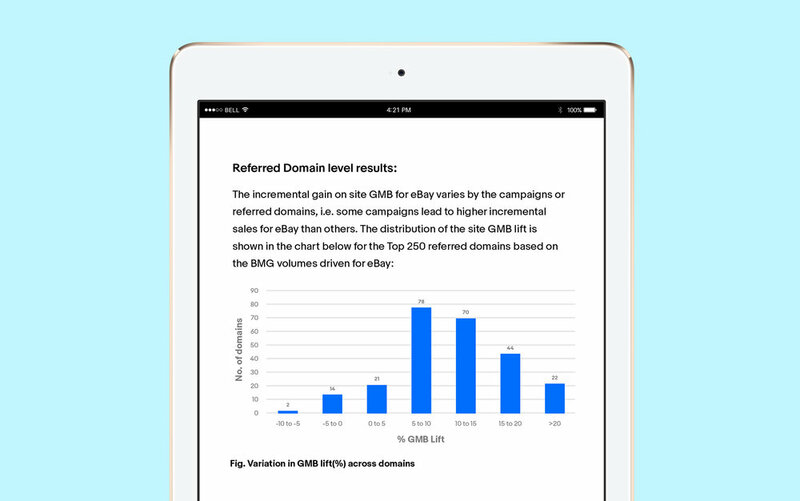 To help you realize and reward your incremental value as an eBay Partner, we’ve designed a technical framework and methodology specifically for premium partners like you--Our Experimentation Platform ("EP"). With higher confidence, you get the competitive advantage of the best commission rate possible. You'll be set to become eligible for rate increases when the opportunities arise, and safeguarded from price cuts. Additionally: Your rates will maintain priority over similar, un-tested partners. To gain confidence in your impact to eBay, we’ll measure your incrementality. By doing so, we will be able to track whether or not your shoppers converted into buyers because of your eBay Partner Network ad. Who it's for: Ideal for partners that want to do incrementality testing but don’t have the technical capabilities to properly randomize and track their audience. Many times we learn our partners are more valuable than we thought they were! Partners that do Incrementality Tests have the highest confidence behind their numbers. Any similar publishers that haven’t done a test immediately get lower incrementality multipliers (and usual lower rates) than their tested counterparts. Those with high incrementality and elasticity (ability to drive more sales with higher commissions) are top-of-mind for extra spend when budget becomes available. Ready to get started? Email us or ask your Partner Manager for how to test your incrementality today. *Elasticity, marketing budget, and market conditions are other factors besides incrementality that are considered when making pricing decisions.